So I have a little secret. Wait! Nothing like my Sneaky B secret (although she was a secret to us all) this is minor compared to that moment in life. This is a hidden secret. Pause – side note- this is the only closet you can open. Our bar. We turned the random coat closet in the living room into a bar. Fun right! 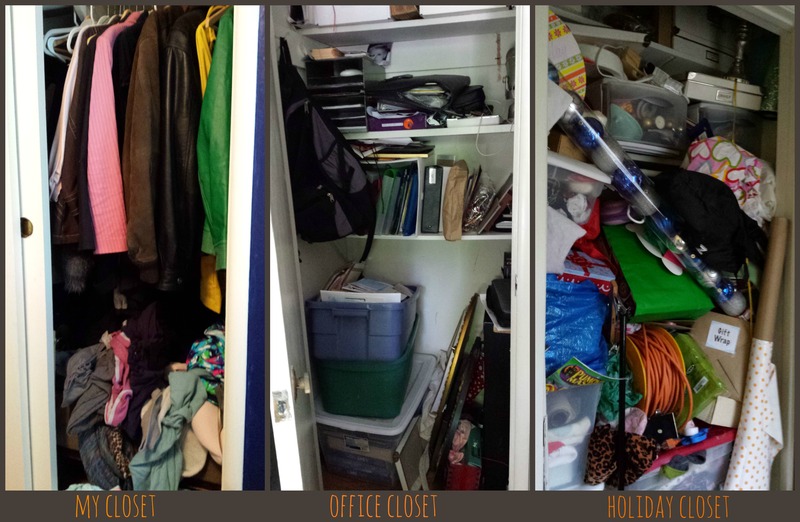 I think about these disaster closets often; thinking “today during sneaky b’s nap I will clean out the office closet.” I get mental prepared, gather garbage bags and boxes. Then I open the door and think of 500 other things that I need to do more, close the door and walk away. After reading the book let’s just says it’s a little on the crazy side. A lot on the crazy side. I’m not so sure about thanking every item in my closet for the work they have done for me. I already feel I need a straight jacket somedays, this might just put me over the top. Then after thinking about it- maybe it will work. Truly Marie Kondo is famous in Japan. And her clients have had life changing experiences from her method of tidying up. And I do like a new “gimmick” Okay it’s on.